UK Minister for Defence met BAE Systems and Hindustan Aeronautics Limited at Aero India 2017 to talk about cooperation on Advanced Hawk jet trainer. After seeing at first hand the capabilities the Advanced Hawk offers, the Minister said: “The UK and India have so much to offer one another in defence and I’m delighted to be at Aero India to build this close relationship. The joint development of the Advanced Hawk by BAE Systems and Hindustan Aeronautics Limited is an outstanding example of what our defence industries can achieve together. Indian companies like HAL have been building UK-designed aircraft for over 40 years, so we are building on a strong foundation. Alan Garwood, Group Business Development Director, BAE Systems, added: “The Advanced Hawk is another demonstration of our commitment to Make-in-India and presents a unique opportunity to build on our track record of collaboration with HAL and Indian industry in developing technologies and capabilities. 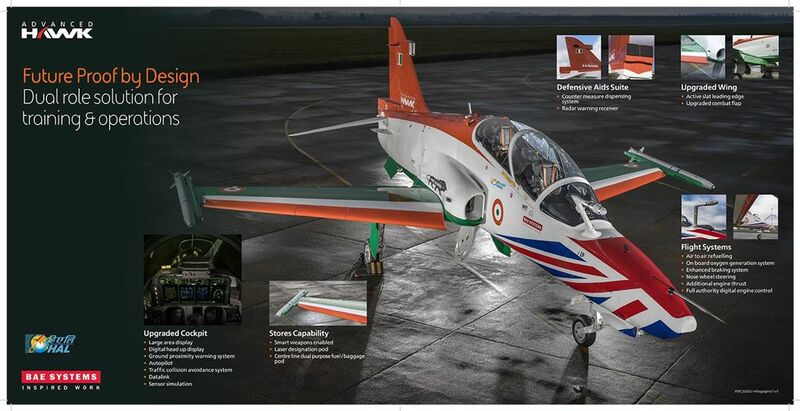 Advanced Hawk is a great example of Make in India, for India and Export from India." Building on the success of the Hawk Mk132, which recently completed 100,000 flying hours with the Indian Air Force and the Indian Navy, the new features of the Advanced Hawk enable training activities currently performed on frontline fighter aircraft to be undertaken on the updated air platform. The Advanced Hawk will reduce training demands on more expensive frontline aircraft, creating additional capacity for operational tasks, whilst delivering fast jet training in a more cost-effective, structured and safer environment. 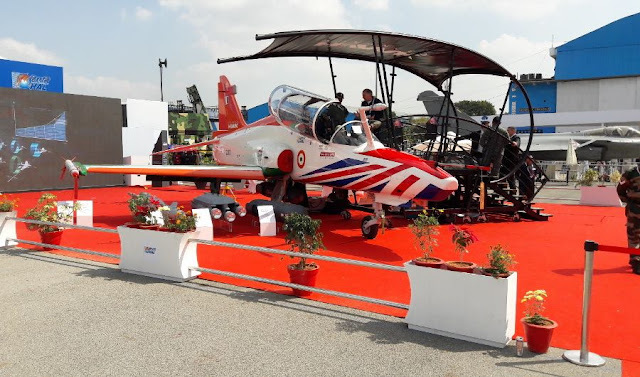 High commonality with the existing Hawk production and support infrastructure in India enables the Advanced Hawk to be manufactured and supported with maximum reuse of facilities, equipment and skills.